Every retailer was busy choosing the hottest toys of the year, but Walmart had actual kids choose their favorites. Well, these are them. Happy holidays! While we’ve already chosen our most favorite (and current best-selling) toys for the upcoming holiday season, Walmart had a bunch of kiddos chose their favorites and top must-have toys for Christmas. Oh, and it’s important to note that many of these Walmart picks even offer free two day shipping. Grab the savings any which way you can! Now this is the house of all doll houses! Your kiddos loved their LOL Surprise Dolls all last year (and this year too), but this year it’s all about the giant 3-foot by 3-foot 3-story LOL Surprise House that has a working toilet, lamp, outdoor patio that changes from day to night, a helipad, a swimming pool they can fill with water, a sandbox, and so much more! Plus, it even comes with an exclusive new family. Learn more details here. Oh boy! Just what they need…another way to escape! This drivable Dream Camper can fit two kids, hits a max speed of 5 mph (on both hard surfaces and grass! 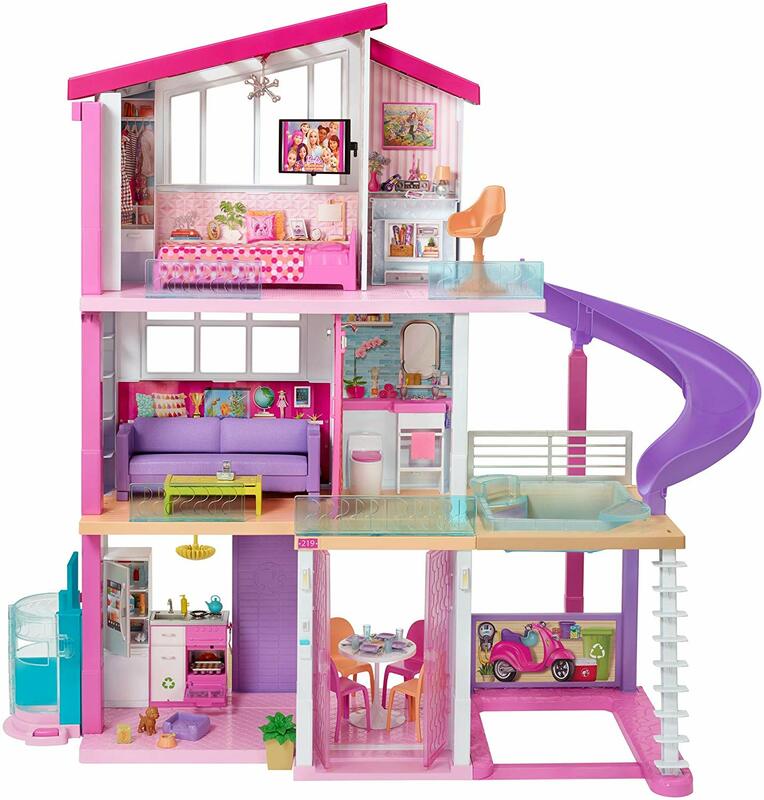 ), has Barbie providing GPS directions, 3 pre-recorded songs, and has a play kitchen in the back of the camper that unfolds to a pretend grill and campfire for the ultimate getaway experience. For real, this one is super cute and they’ll have a blast! The best idea ever for when they won’t stop asking for you to buy them a puppy. How about this one instead?! He’ll kiss and lick you just like a real puppy (without the germs) and even wag his tail, make super cute puppy sounds, and close his eyes when it’s time to catch some winks. Plus, he’ll even come with an adoptions certificate to make things more official. We are truly in love. Learn more here! That’s right, Pikmi Pops are back! And this one is cuter than ever (and will be kind of tough to get). Meet ‘Cinnabun’ the giant reversible bunny with giant cute and snuggly floppy ears! Inside this giant surprise you just may find one or two exclusive scented Pikmi Flips! Plus, there are 8 surprises inside in total and the most fun part is that your kiddos aren’t going to know which they’re getting until they open it. Seriously, how cute is this bunny?! And you’ll love their scent too! If they’re not into ride-on unicorns, this is the ride-on animal for them! Meet Scout the Pony! He makes over 100 unique sounds and motions and is totally interactive (and so cute). You can feed it, walk it, ride it, and watch it perform a very special dance. Plus, Scout’s ears, eyes, and head moves. You can even hear Scout make cute little munching sounds when you feed him. We just assumed it was a ‘he’ but could totally be a ‘she.’ You decide! This one is hard to come by and is already the ‘must have’ for this upcoming holiday. If you’re having a hard time finding it, be sure to check out Amazon too. 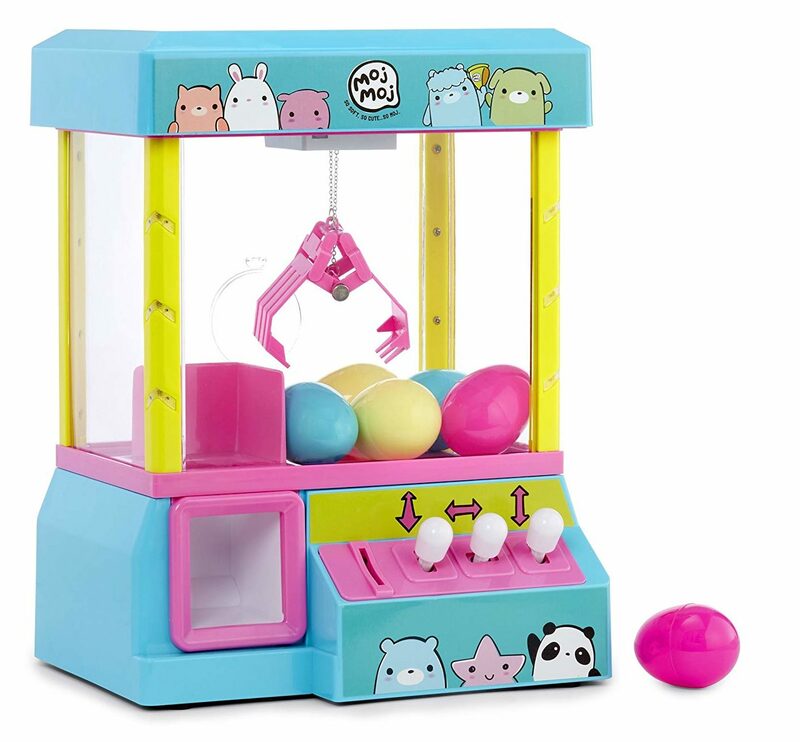 Now your kiddos can practice their claw machine skills right in their very own home! It’s just like the one in the arcade, but they have a much better chance at winning. It lights up, plays music, and has two different modes of timed-play. It also comes with 6 little surprise packs that you can refill once they win them all. Super fun and something that you may want to play yourself! They were obsessed with the movie this year and especially this little guy! Jack-Jack has a ton of surprises and a ton of fun things you kids can do with him. First off, he’s funny and when you press him once he’ll laugh and giggle up a storm! The more you press his belly the more of his super powers he’ll reveal. The best part is when they press and hold his belly they’ll activate his biggest super powers and he’ll totally light up and all colors, sounds, and lights are activated! Plus, the raccoon he comes with also does some tricks too! Yep, Hoverboards are still a thing this year! And this is one of the best-selling ones so far. It’s all new, totally certified, and does more than most other hoverboards. It can charge in as little as just 2.5 hours and the battery is protected from over-charge. This one has built-in bluetooth speakers that are water resistant and you can change your skill level, the volume of the speakers, the songs, the headlights (and more) from your phone app. Super fun! We love the blue one, but it comes in a bunch of other colors too like black, red, white and a really cool iridescent color. See all the color options here! Real Housewives of New Jersey: Why Won't Christmas End?